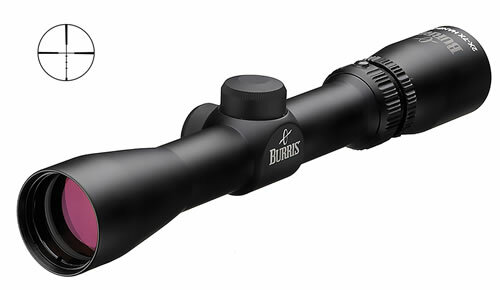 The 2-7x32mm handgun scope features index-matched, multi-coated lenses that maximize contrast in low light settings, eliminate glare, and provide superb clarity. This is the exceptionally tough, reliable, precise optic handguns require. It offers a long eye relief in a lightweight package. The Posi-Lock system on this scope replaces the spring of a conventional adjustment system with a retractable steel post to keep the point of aim firmly in place under the harshest recoil. The high arching trajectories of many handgun calibers complicates shooting long range, but the Ballistic Plex reticle on this scope allows for simple compensation and long range accuracy.